Prominent & Leading Manufacturer from Jaipur, we offer 1 wheel balancing robot, automatic storage system, four-rotor hover vehicle, linear inverted pendulum, circular inverted pendulum and circular double inverted pendulum acrobatic robot. An inverted pendulum system is a highly coupled multivariable, nonlinear, unstable system. It is the perfect experimental device to examine various control theories. Controllability, stability, robustness and some other key performance in control will be examined in the process of controlling such system. 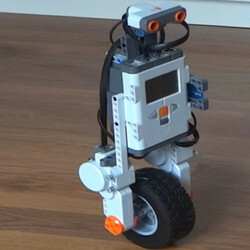 The self-balancing robot is in fact a movable 3 Dof inverted pendulum system. The system, taking the gyro as feedback, is balanced by outputting different torque in two wheels. 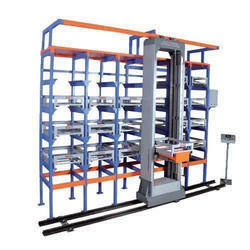 Automatic Storage System consists of mechanic, electrical, control and management system, which covers all aspects of modern logistic technology, such as motion control, PLC control, database and network technology, etc. It is the indispensable subsystem of realizing modern automatic manufacturing and automatic logistic system. The automatic storage system developed by Googol Technology is based on storages systems that are similar to industrial ones. They are suitable for the of graduation design projects of technical institutes, course design, internship experiments, research of instructors, development and other requirements. The Four-Rotor Hover Vehicle consists of motors with air screws, encoders, drive modules, motion controllers and slip rings, etc. It is a highly coupled multiple degrees of freedom system. Different flight controls such as elevation and depression, inclination and hovering of the vehicle can be achieved. The system is suitable for undergraduates, postgraduates and control theory researchers to carry out verification and research of control theory such as optimal control, robust control, etc. Inverted pendulum system is a nonlinear unstable system, an ideal experiment platform for teaching control theories and conducting various control experiments. Many abstract control concepts, such as the stability and the controllability of a control system, can all be shown visually through the inverted pendulum system. In addition to educational purposes, an inverted pendulum is also a research area for many researchers of modern control theories. Through the continuous research on new ways of controlling inverted pendulum, researchers have developed new control methods, and apply them to the high tech areas such as aeronautical engineering and robotics, thanks to the characteristics of the system, such as high-order, instability multi-variables, non-linearity and strong coupling. 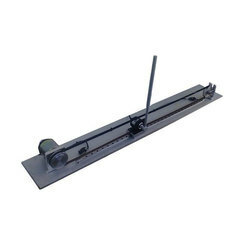 The linear inverted pendulum series products developed by Googol Technology adopt an open control solution and a modularized experiment platform. With the linear motion module as the base platform, it is easy to build more than 10 teaching and experiment control platforms, satisfying the various needs for control teaching and research. All the modules are designed and manufactured with industrial components. For example, the sliding guide bars are made of precision stainless steel, the synchronization gear belt is a gear belt of industrial grade, and the base platform has the vibration absorption function. Industrial grade encoder, AC servo motor and drive to ensure best quality and reliability. Compared with similar products of other brands using DC motors, the AC servomotor offers the additional advantage of no maintenance on brushes and longer service life. Limit switches, anti-collision buffer device, as well as the unique structure design provide excellent system safety, especially suitable for students. Mechanical engineering control fundamentals, automatic control principle, modern control engineering, linear control system and computer control system, etc. The circular inverted pendulum series of products adopts an open architecture control solution and a modularized experiment platform. With the circular motion module as the base platform, it is easy to build circular one-stage inverted pendulum, circular two-stage serial inverted pendulum, circular two-stage parallel inverted pendulum, and even the combined serial-parallel inverted pendulums of three- and four-stages, satisfying the various needs for control teaching and research.Googol’s PC plug-in motion controller is used as control module, MATLAB or C Language can be used and thus facilitate users to carry out experiments and research works. Circular track with no travel limit for the inverted pendulum, suitable for swing up algorithm design. Slip ring to feed signal to the controller. Floor-standing structure, no workbench is required. Industrial incremental encoder l feedback and AC servo motor. Open platform based on PC and DSP-based motion controller. Open experiment verification and demonstration program of DOS version, with source codes provided, especially suitable for research of control algorithm. Googol Simulink software experiment platform provided for experiments such as system modeling, simulation and real time control. Develop and verify one’s own control algorithm. Tackle the challenging control problems of controlling t the balance of parallel inverted pendulum and starting of serial inverted pendulum. 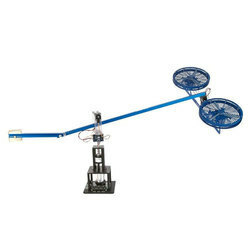 The circular double pendulum acrobatic robot is a new product of the inverted pendulum family. Based on the control of multiple-stage inverted pendulum swing up, the acrobatic robot controls the pendulum rod in different equilibrium status and interchange status so that the rod can erect when it is in motion. It can be applied in simulation of artificial intelligent control and other automatic control research and experiments. 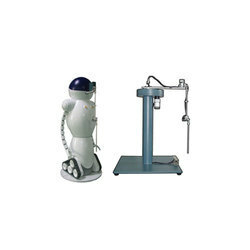 The robotic system adopts a large base to enhance its stability. Planetary gear and belt pulley are used for deceleration. Noise is thus reduced when the system is in motion. The length of the arm is adjustable; the electrical system uses industrial standard AC servo drive system and encoder to ensure its reliability when it is in motion. The electrical wiring of the rotation part adopts slip ring connection. Googol’s PC plug-in motion controller is used as control module, MATLAB or C Language can be used and thus facilitate users to carry out experiments and research works. The planar inverted pendulum series adopt an open architecture control solution and a modularized experiment platform. 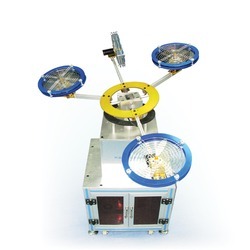 With XY table and 2-DOF robot arm module as the base platform, adding a 2-DOF ball joint, an one-stage or a two-stage inverted pendulum is developed to provide a more challenging research and experiment platform. A planar inverted pendulum simulates more closely the control and visual effect of an inverted handstand of an acrobat or the launching position control of a missile or rocket. 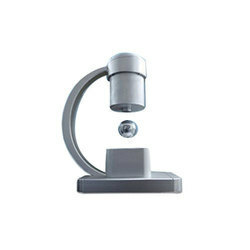 XY table, 2-DOF robot arm and 2-DOF ball joint are all designed and manufactured according to industrial standards. Hardware platform based on PC and DSP-based motion controller. Experiment verification program (DOS version), with source codes provided. Control software in MATLAB Simulink. Easy to development users’ controllers. Developing and testing one’s own control algorithms. Challenging the control problems concerning the two-grade Planar IP control algorithms. The 3DOF helicopter simulator, which has 3 degrees of freedom in rotation, is a new educational product developed by Googol Technology. It is not only of great value in the field of aviation and space flight research but also ideal to evaluate feedback strategies, such as PID, LQR, H infinity, fuzzy, neural net - any one you wish to implement. As one of the newly recommended products, its hardware system is matched with a textbook which covers classical control, modern control and dynamic modeling experiments in details, so it offers the students and researchers in the fields of automation and mechatronics a unique opportunity to control the pitch and yaw of a simplified helicopter. 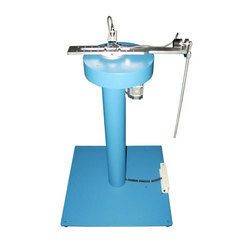 The 3DOF helicopter simulator consists of a pedestal upon which a long arm is mounted. The arm carries the "helicopter body" on one end and a counterweight on the other. The arm can also tilt about an "elevation" axis as well as swivel about a vertical (travel) axis. Optical encoders mounted on these axes allow for measuring the elevation and travel of the arm. The helicopter body mounted at the end of the arm is free to pitch around the "pitch" axis. The pitch angle is measured via a third encoder. Two motors with propellers mounted on the helicopter body can generate a force proportional to the voltage applied to the motors. The force generated by the propellers causes the helicopter body to lift off the ground. The counterweight can reduce the power requirements on the motors; it is adjusted so that the effective mass of the body is proper. All electrical signals to and from the arm are transmitted via a slip-ring in order to eliminate the possibility of tangled wires and reduce the amount of friction. Experimental entity platform provided for the major of aviation. 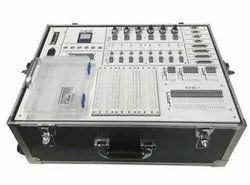 Comprehensive experiment kit, covering the dynamic modeling, classic control experiment, modern control experiment, optimized control experiment and intelligent control experiments. Users can select relevant algorithm for the experiment and teaching needs of various courses. 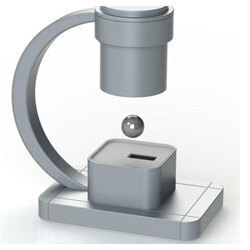 Magnetic levitation is a classical technology in mechatronics. It combines electromagnetism and electronics technology, control technology, signal processing, mechanics, and dynamics. The technology is widely used in many industry fields such as magnetic levitation train, magnetic suspension bearing, miniature transmission equipment, measuring instrument, robotic wrist, magnetic levitation educational system, etc. The Magnetic Levitation System (Model: GML2001) from Googoltech provides an ideal experiment platform for research and tutorial for undergraduate and graduate students studying classical control theory and modern control theory. Apart from its modern designed appearance, laser sensor is also applied as feedback signal to measure moving distance of the floating ball accurately. 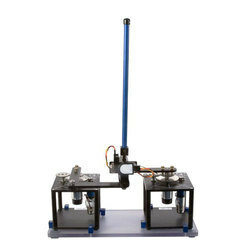 In addition, the Magnetic Levitation body (Model: GML2001A) can be provided as a standalone experimental device for any third party or self-designed controller. Students can thoroughly comprehend PID tuning, root locus tuning, frequency domain method tuning, status feedback control method with Matlab software platform experiment course. Via optional analog control system, by observing and comprehending the structure of control system and the characteristic of driving module, students can construct embedded magnetic levitation controller by combining the analog control system with DSP, ARM, MCU, etc. The embedded discrete control algorithm can be perfected by comparing control results. Students can select components such as photoelectric, ultrasonic, infra-red distance detecting sensor to build up the magnetic levitation body; and construct complete magnetic levitation system with self-designed embedded controller. Laser sensor is used as feedback signal. Through the experiments, the non-linearity of the system can be directly viewed by the distribution of the electromagnetic field. Root locus tuning, frequency domain method tuning, and status feedback. PID tuning & analog control experiments. When the ball moves up and down vertically under the electromagnet, the laser sensor right below the ball detects the distance between the apex of the ball and the lowest part of the electromagnet. It converts the voltage signal to the controller. The controller calculates the output current level of the electromagnet coils. 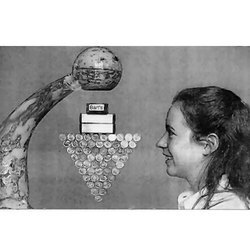 The emerged magnetic force can levitate the ball under the electromagnetic stably in any arbitrary position within the range. Due to the characteristic of the mathematical modeling of the device that the composed unit is unstable without the controller, a corresponding controller must be designed to stabilize the system. As the linearization has to be carried out around a non-zero operating point, it is therefore very challenging. 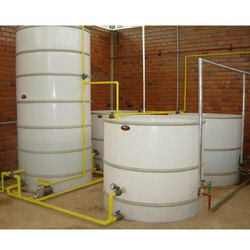 Pilot Plant for the production of bio-ethanol from sugar cane or, optionally, from tubers (sweet sorghum, manioc, potatos, rice or corn). The pilot plant for the production of bio-ethanol from de lorenzo reflects the experiencethat our company has accumulated in the field of renewable energies. the production is in four steps according to the following block diagram and specifications. on request, it is possible to produce alcohol with tubers (sweet sorghum, manioc, potato, rice and corn) with additional grinders. Automatic Control Experiment BoxThe automatic control experiment box uses a semi-physical simulation to achieve an understanding of the principles of automatic control. The semi-physical simulation is to connect the mathematical model, the solid model and the actual equipment of the system to form a simulation system. When simulating this system, the physical intervention in the analog loop requires that the simulation be performed on-the-fly. The simulator must acquire dynamic input signals under the conditions of synchronization with the real system and generate dynamic output responses in real time. The experiment box is free to design a variety of circuits with various components, and the Matlab software platform can be used to simulate experimental phenomena and results in real time. The experimental box design is compact and suitable for large-volume placement in the laboratory to meet the experimental needs of the team. Looking for Advanced Control Systems - Automation Control ?